With Talent Management software solutions from Taleo, you will be better able to hire, manage, retain, and develop your employees to ensure you have the right people in place. SaaS-arms race between Oracle and SAP continues. After SAP acquired the leader of the talent management market - SuccessFactors, Oracle's boss Larry Ellison could not sleep in peace. In order to calm down a little he decided to buy the second company in this market - Taleo. 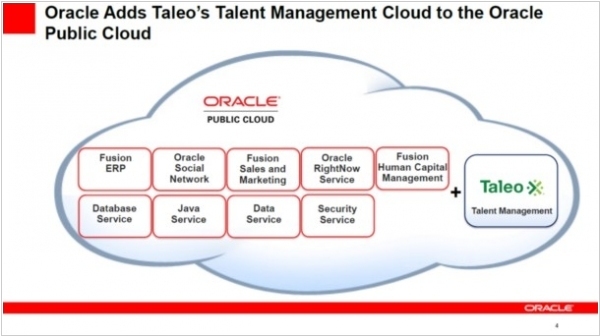 (Not so long ago we compared SuccessFactors vs Taleo). The deal amount - $ 1.9 billion. Taleo is famous primarily for it's personal compensation tools and head-hunting tools, integrated with social networks. As usual in such cases we say that this deal is a big sign for those who still doubt in SaaS. If Larry Ellison, who doubted more than others and who already owns the HRM system PeopelSoft, buys the SaaS-alternative - it's a big sign. Everyone knows that "talent is everything". Everyone knows that 80% of his time boss should devote to employees and their motivation. But in practice, boss remember about an employee only when he did something wrong and proved once again that his salary is too high. However, as competition in all areas is growing and business becomes more and more dependent of its talents, this outdated practice will only lead to deadpool. That's why talent management software and services are now experiencing a rapid growth. In the recent SaaS tool ratings talent management (and related technologies - HRM and e-Recruting) - are among most demanded. In this talent management market two gorillas have emerged: Taleo and SuccessFactors. And both these companies provide SaaS solutions. Taleo In 2008 Taleo was in top-four most profitable SaaS companies. Taleo solution is mainly focused on recruiting processes and managing relationships with potential employees. The solution allows to manage employees, jobs, resumes, appointments and features integration with social networks (Facebook, LinkedIn), which are used for collecting information about people and posting job announcements. SuccessFactors Unlike Taleo, SuccessFactors is still not profitable. Nevertheless, it's probably the most rapidly growing SaaS company after Salesforce. Last year the company won the tender for one of the largest SaaS-deployments - 420 thousand users in Siemens. SuccessFactors solution is primarily aimed at assessing talent progress and manageming his career. Each employee can log in the system to see his goals and log his completed tasks. 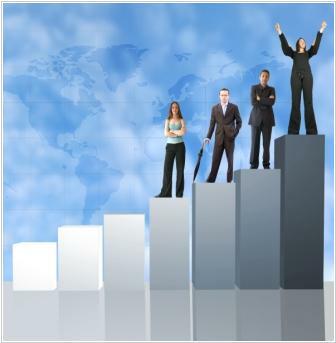 Bonus system allows each employee to know exactly what profit he can earn for certain results. 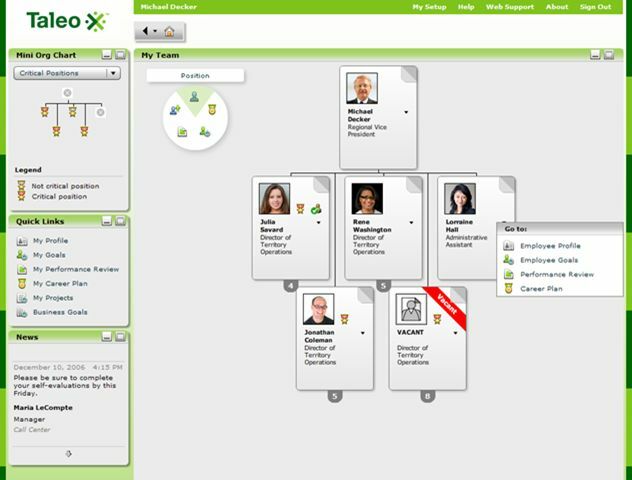 In addition, last week SuccessFactors acquired the enterprise social collaboration service CubeTree. So, probably, the company will soon compete with Salesforce and Sharepoint Online on this market.